The mangoes are back! Just like the tulips beginning to pop up all over the city, fresh yellow mangoes are another sure sign of spring. I stopped by the fruit cart for my daily dose of bananas and a bunch of sweet grapes and there was a big bin of mangoes. Oh, yes, I'll take a few of those too, please. 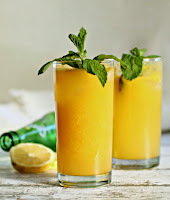 I've been craving a mango cocktail ever since my last mango cocktail way back last summer so that was up first. Something minty and lemony and refreshing was on my mind and a bottle of lemon-lime soda came in handy. Be warned, though, that this drink is deceptive. It just tastes like a delicious cooler and totally belies the 2 oz. of vodka in each glass. So dangerous but so fun. Cheers! 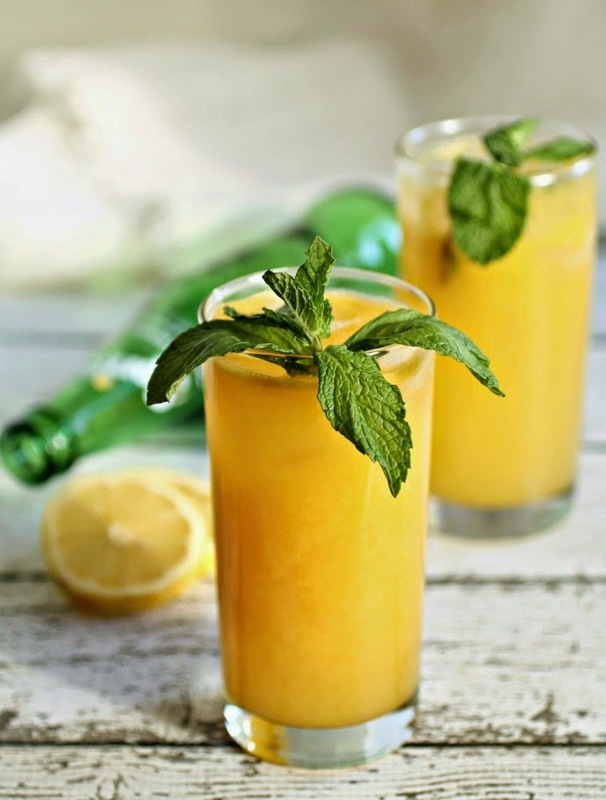 Puree the mango in a blender or food processor and add the vodka, lemon juice, simple syrup and mint. 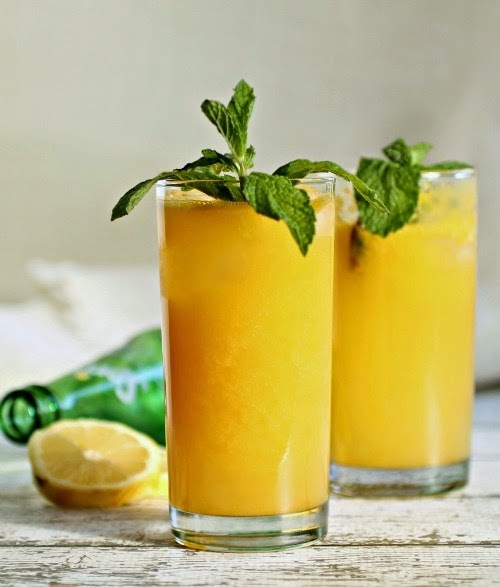 Pour evenly into two tall chilled glasses and top each with the lemon lime soda. Garnish with a sprig of mint, if desired. I bought champagne mango last week and they are just SOOOOO GOOOD! I patiently wait for them every year. This cocktail = love it. The color is just FAB!